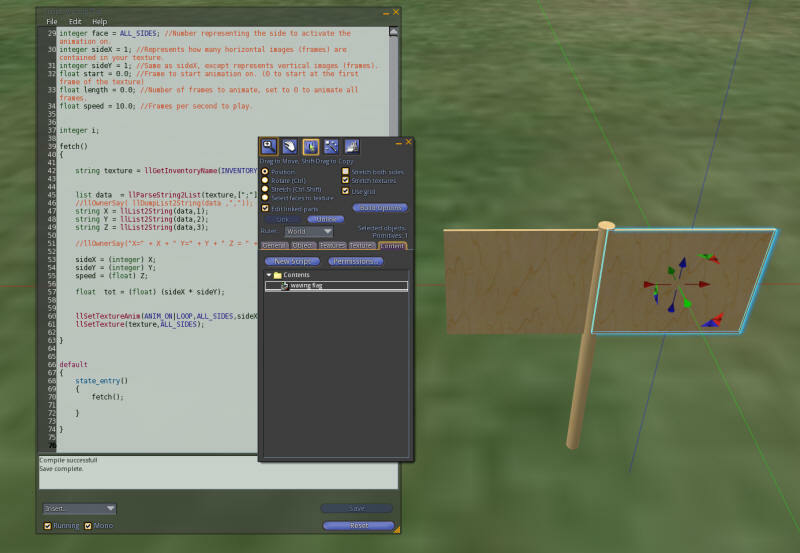 This is Part 2 - Making a Breedable Pet Troubot Robot Flag in Second Life. Your pets need to know where 'home' is. The home position is set by rezzing a 'homing' prim and touching it. Each breedable pet will always stay near this post. The original XS Quail homed to a small half-sphere. I chose to make this a flag. 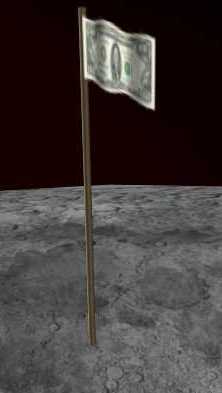 Yes, I know flags don't blow in the wind on the moon! There are obviously other choices, such as a radar antenna or just a small prim post. 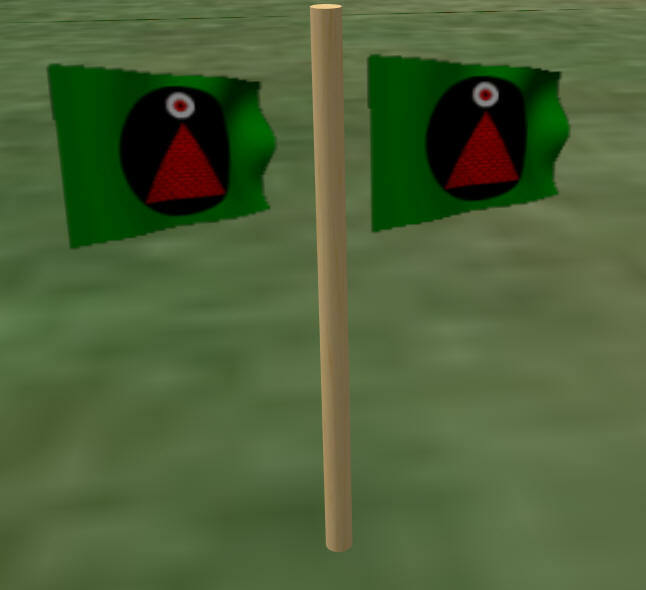 I picked the flag because it is simple, it shows another of my scripts in action, and it was only two prims. The radar antenna seemed like it would take more prims. You can take the homing post up after 'homing' your pet, but it is best to leave it down. New-born pets need to know where the post is. Without the post, they will not move. 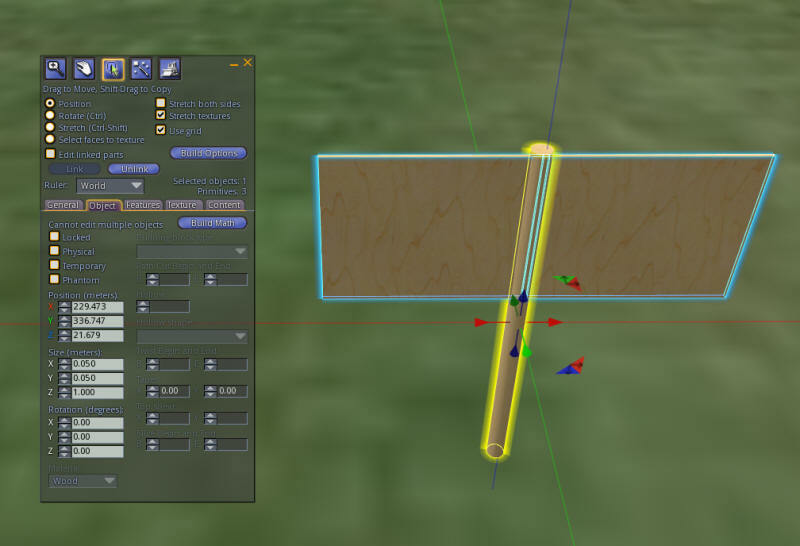 Make a cylinder prim 1 meter tall X 0.050 X 0.050 wide and thick. Stand this vertically to make a flagpole. 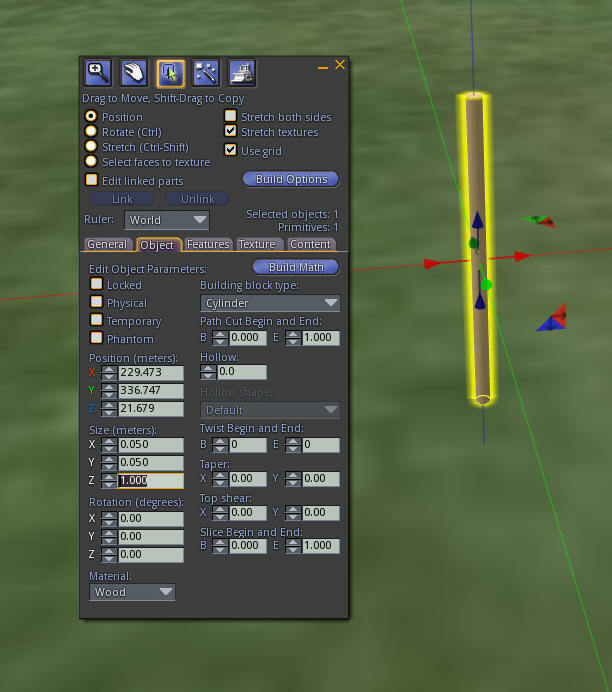 Go ahead and right-click and save the texture to disk, and then upload it to Second Life. Keep the name the same. 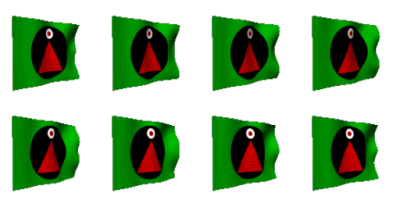 The script that is used will read the numbers in the name and animate the flag correctly. 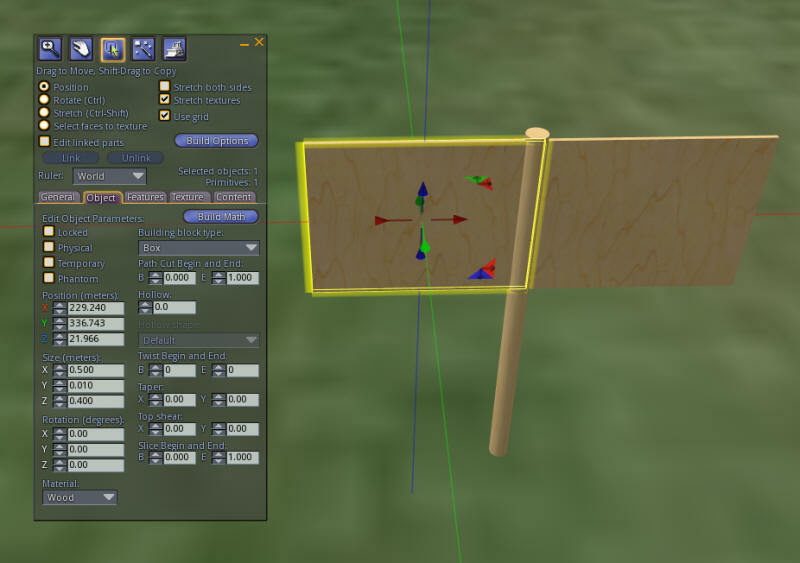 Now make a rectangular, flag-shaped prim. This will be the flag prim. I made my flag 0.5 meter wide by 0.4 meter tall by .010 meters thick. 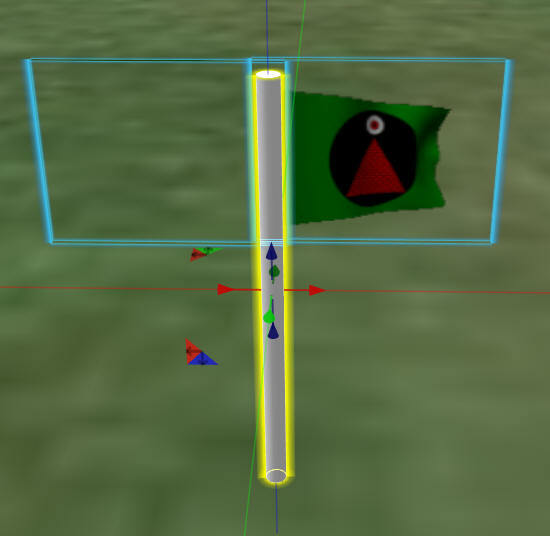 Select the flags, then select the pole, and link them together so that the pole is the root prim. The pole should be outlined in yellow after this step. 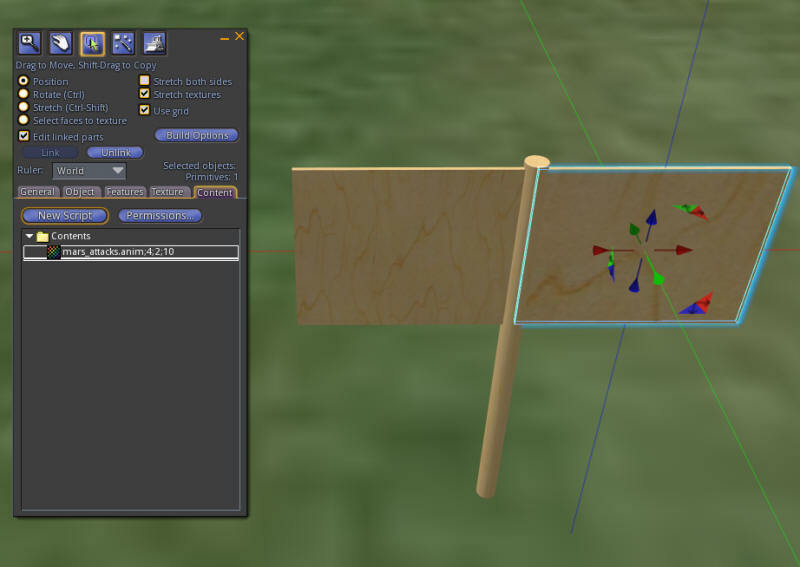 You must add the 'waving flag' script to each of the the flag prims. 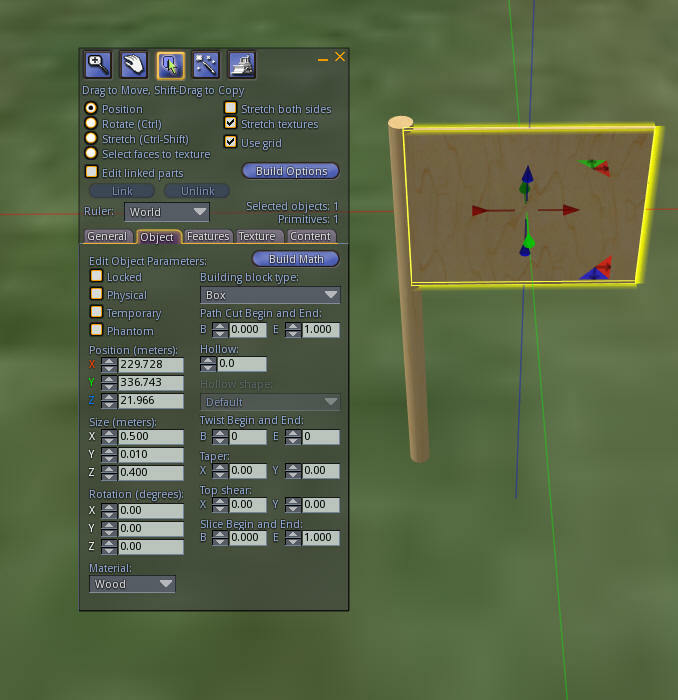 This script will automatically read the numbers in the name of the texture and animate the flag. Once you have loaded the script and seen the flag wave, you can delete the script. If you are curious as to how this was made, I used the gif_2_SL_animation_v0.6.exe program on an ordinary animated GIF I found on Google image search. You must add to the flagpole a description consisting of a number such as 5. This number is how far away the pet can be from a Home post and still find the home location. Without this number, your pets will 'freeze' and will not move. Edit the pole and add the xs_home script to it. Be sure to change the string SECRET_PASSWORD = "top secret"; to something else! Set the permissions on your scripts to NO Modify so that no one can see your scripts. The post should be set to allow other users to copy. Take a copy of the Homing flag back to inventory. You will add this to the animal in a later step.